Church of the Three Saints (Трьохсвятительська церква; Trokhsviatytelska tserkva). A church, originally called Saint Basil's, built near the wall of the upper city of Kyiv during the reign of Grand Prince Sviatoslav III Vsevolodovych, in 1183. The small Romanesque structure had three naves, a facade divided by pilasters, and a dome supported by four columns. It was typical of the architecture of the late 12th century. 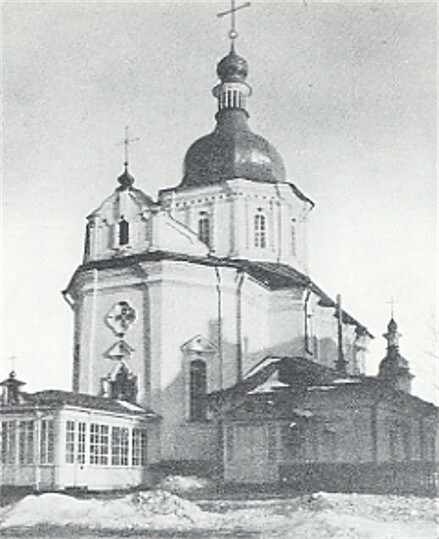 In the 17th century Metropolitan Petro Mohyla placed the church under the jurisdiction of the Kyiv Epiphany Brotherhood Monastery, and it was restored and rededicated to Saint Basil the Great, Saint Gregory the Theologian, and Saint John Chrysostom. 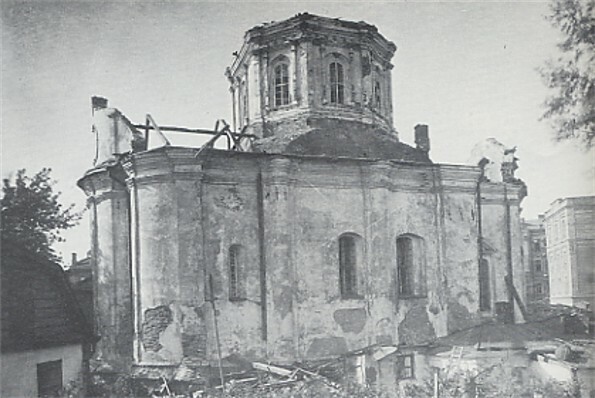 The church was heavily damaged by Muscovite shells in 1658–60. 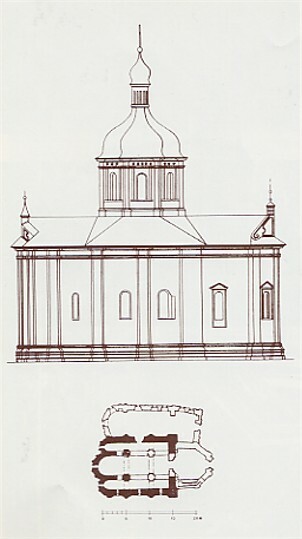 Its reconstruction, in the baroque style, was begun under Metropolitan Varlaam Yasynsky in the 1690s and completed by General Judge Vasyl Kochubei in 1707. Two of its original pillars were removed, and a hexagonal narthex was added. In the mid-18th century the Zaporozhian Host added a small chapel to the southern wall and installed a new rococo iconostasis. The church was dismantled by the Soviet authorities in 1935, during the Stalinist antireligious campaign, to make room for a large government building.